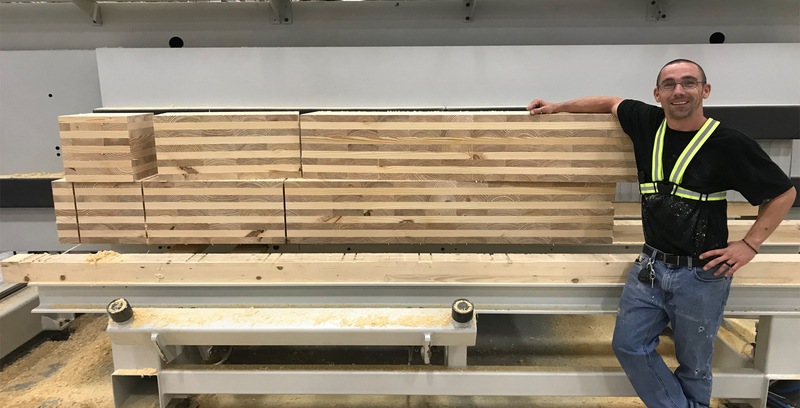 International Beams is the only manufacturer building architectural and structural CLT with Southern yellow pine, the largest wood fiber source in the U.S. 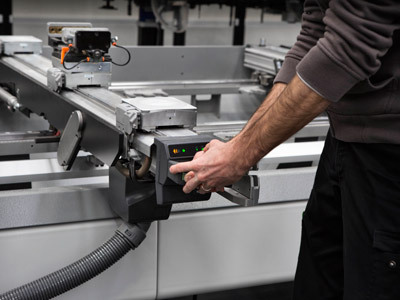 They have been manufacturing engineered wood products for over 20 years. 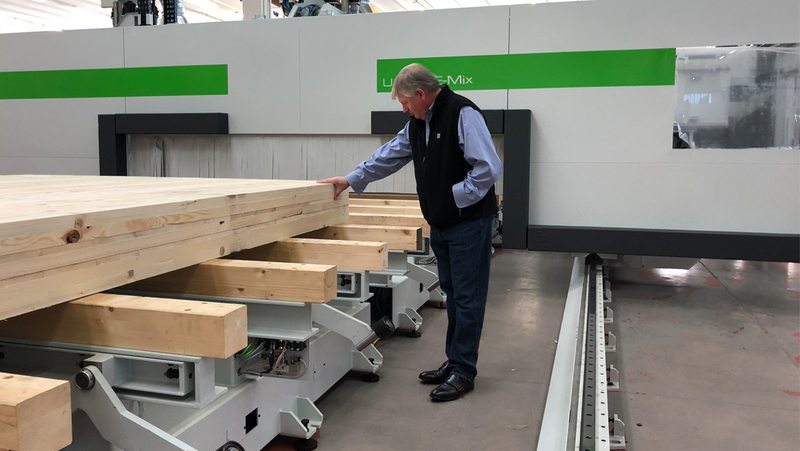 When International Beams opened its new IB XLAM USA Mass Timber Solutions Complex in mid-2018, it made history as the first cross-laminated-timber (CLT) manufacturing facility in the Eastern U.S. 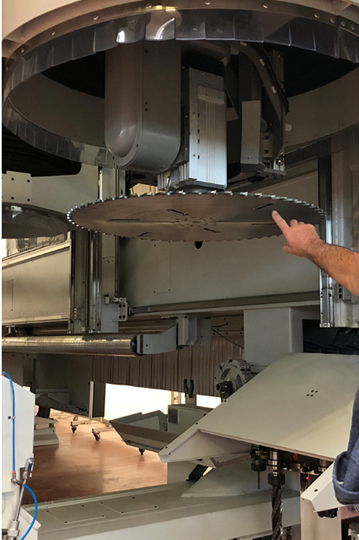 In the months since, the plant and its innovative E MIX processing center from Biesse/Uniteam has enabled International Beams (IB) to prepare to produce mass quantities of IB MAX-CORE CLT, breaking new ground by using fast-growing Southern yellow pine lumber as its primary raw material. 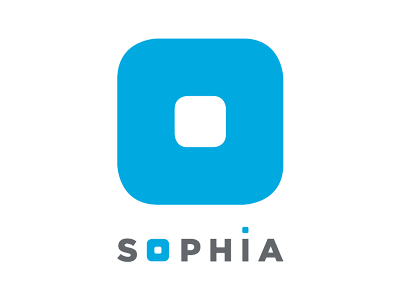 The new Dothan, Alabama facility, strategically located in a region known for sustainably managed pine forests, has made IB a recognized leader in bringing the many advantages of building with CLT to North America. “Statistics estimate that 30 percent of greenhouse gases are caused by the construction industry,” Lieberman said, “but wood is a sustainable building material that stores carbon through carbon sequestration. Steel and concrete generate a large amount of carbon instead of storing it like wood. Over the life of a tree, just one cubic meter of wood material can store one ton of greenhouse gases. 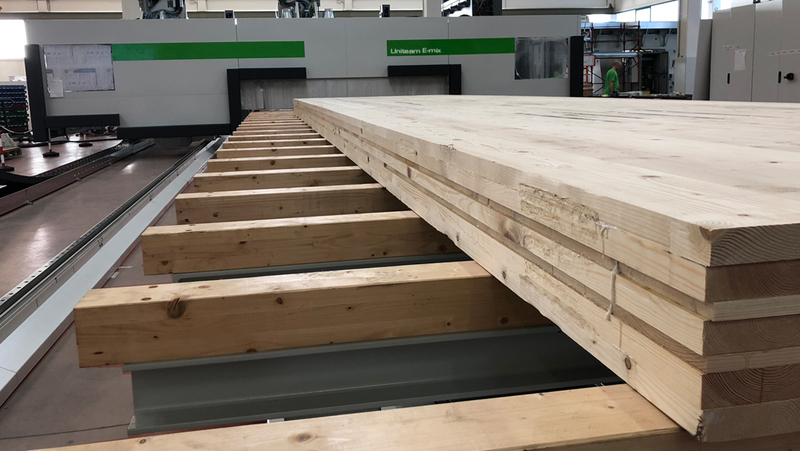 When that wood goes into a building, it’s sequestered for the long term.” Reducing the source of CLT from Europe, Canada or the Pacific Northwest to Alabama also dramatically reduces the carbon footprint of transportation. 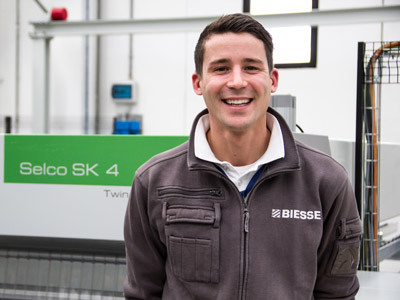 From the start, what I liked best was Biesse’s innovation—you can see the advances in thought and technology directly from one machine to the next.